The perfect place to start a luxury yacht vacation along Sweden's west coast is in the picturesque village of Strömstad. 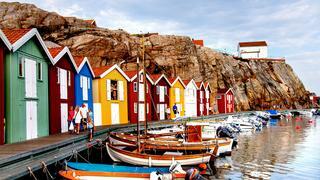 This seaside resort belonged to Norway until 1658 and features red wooden houses set on the water’s edge. Just off the coast you will find Sweden’s first marine national park — Korhavet. The 450 sq. km protected zone is home to the country’s richest marine life, boasting more than 6,000 different species as well as reefs of deep water coral Lophelia Pertusa. The Koster Väderö Fjord is located within the park and is connected to the Norwegian Trench, which is in turn connected to the Atlantic Ocean. The conditions in the trench are almost oceanic which means creatures that would normally be found on the continental slopes thrive here. If you fancy doing something on dry land you can take a bicycle ride or a guided hike around the Koster islands. Kosters Trädgårdar (Koster Gardens) is recommended for lunch; the organic garden restaurant only cooks the day's fresh catch, garnished with herbs and vegetables it has grown and has been named “Sweden’s most sustainable restaurant”. The perfect place to start a luxury yacht vacation along Sweden's west coast is in the picturesque village of Strömstad. This seaside resort belonged to Norway until 1658 and features red wooden houses set on the water’s edge. Just off the coast you will find Sweden’s first marine national park — Korhavet. The 450 sq. km protected zone is home to the country’s richest marine life, boasting more than 6,000 different species as well as reefs of deep water coral Lophelia Pertusa. The Koster Väderö Fjord is located within the park and is connected to the Norwegian Trench, which is in turn connected to the Atlantic Ocean. The conditions in the trench are almost oceanic which means creatures that would normally be found on the continental slopes thrive here. If you fancy doing something on dry land you can take a bicycle ride or a guided hike around the Koster islands. Kosters Trädgårdar (Koster Gardens) is recommended for lunch; the organic garden restaurant only cooks the day's fresh catch, garnished with herbs and vegetables it has grown and has been named “Sweden’s most sustainable restaurant”. As you make your way down south towards Grebbestad on your superyacht, you'll find yourself surrounded by hundreds of islands and islets all made of smooth champagne coloured granite rocks, picturesque fishing villages, summer cottages, resorts and lighthouses. 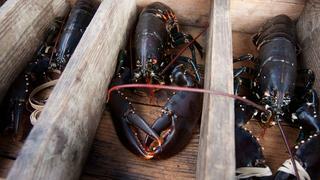 Grebbestad is the shellfish capital of Scandinavia and it's where you can eat some of Europe’s best seafood. Everts Sjöbod (Evert’s Boathouse) offers shellfish safaris and an amazing shellfish lunch in its rustic boathouse. Grebbestad is a typically beautiful west coast fishing town with a dramatic rocky backdrop and quaint pastel coloured wooden houses and buildings. It is set at the head of a channel leading into the Fjällbacka archipelago and is a wonderful place for walks or sampling the atmosphere of the town. Around the corner you will find Fjällbacka, a fishing village dating back to 17th century that has been made famous through Camilla Läckberg’s crime novels. The Swedish actress Ingrid Bergman also used to have summer cottage in the village. Väderöarna (the Weather Islands) is an archipelago outside Fjällbacka in Bohuslän. Due to its location it is difficult to access and to explore the area you are best to use local tour operators. You can get an ocean kayak and glide past seals along the rocky islands and experience langoustine and crab fishing. As you make your way down south towards Grebbestad on your superyacht, you'll find yourself surrounded by hundreds of islands and islets all made of smooth champagne coloured granite rocks, picturesque fishing villages, summer cottages, resorts and lighthouses. Grebbestad is the shellfish capital of Scandinavia and it's where you can eat some of Europe’s best seafood. Everts Sjöbod (Evert’s Boathouse) offers shellfish safaris and an amazing shellfish lunch in its rustic boathouse. Grebbestad is a typically beautiful west coast fishing town with a dramatic rocky backdrop and quaint pastel coloured wooden houses and buildings. It is set at the head of a channel leading into the Fjällbacka archipelago and is a wonderful place for walks or sampling the atmosphere of the town. Around the corner you will find Fjällbacka, a fishing village dating back to 17th century that has been made famous through Camilla Läckberg’s crime novels. The Swedish actress Ingrid Bergman also used to have summer cottage in the village. Väderöarna (the Weather Islands) is an archipelago outside Fjällbacka in Bohuslän. Due to its location it is difficult to access and to explore the area you are best to use local tour operators. You can get an ocean kayak and glide past seals along the rocky islands and experience langoustine and crab fishing. Continuing south from Fjällbacka by luxury yacht, you have the option to take the tender through the narrow, very scenic, inner passages at Hamburgsund. You travel on through the Sotenäs channel passing by Smögen, situated just off the southern channel exit until you arrive at Mollösund. From this port you can reach the amazing island Käringö with your own tender or a tour operator. Käringön is seated in the southern part of the archipelago, just outside Mollösund. It is home to the Karingo oyster bar where you can enjoy exquisite European flat oysters (Ostrea edulis) and drink champagne in the wood stove-heated hot tub while you watch the oysters being collected. Käringön is also the home of the most famous restaurant in the west coast archipelago: Petersons Krog. Continuing south from Fjällbacka by luxury yacht, you have the option to take the tender through the narrow, very scenic, inner passages at Hamburgsund. You travel on through the Sotenäs channel passing by Smögen, situated just off the southern channel exit until you arrive at Mollösund. From this port you can reach the amazing island Käringö with your own tender or a tour operator. Käringön is seated in the southern part of the archipelago, just outside Mollösund. It is home to the Karingo oyster bar where you can enjoy exquisite European flat oysters (Ostrea edulis) and drink champagne in the wood stove-heated hot tub while you watch the oysters being collected. 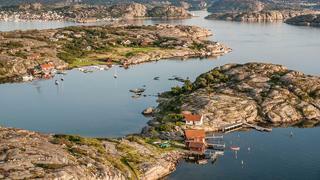 Käringön is also the home of the most famous restaurant in the west coast archipelago: Petersons Krog. The most popular sailing resort on the Swedish coastline is Marstrand, which is the venue for the Match Cup Sweden event that is a part of the World Match Racing Tour. 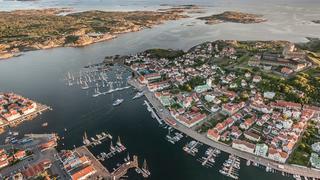 Marstrand is a Swedish playground for royalty and celebrities and boasts a rich and intriguing history. Visit Carlsten’s Fortress, enjoy the vibrant nightlife and dine in style. You will find Pater Noster lighthouse on the Hamneskär island just outside Marstrand, which can be reached by helicopter or yacht tender. Climb the stairs to the top and enjoy the impressive views together with a glass of champagne. In this part of the archipelago you will also find Salt & Sill (Salt & Herring). The restaurant has one of the West Coast's best locations — outdoor serving and window seats with a sea view that provides an almost surreal closeness to the sea. The restaurant’s specialty is its "herring plate" that has contributed to its international recognition. Sweden’s second biggest city is the gateway to the three striking provinces on the west coast — ohuslän, Dalsland and Västergötland — and a cultured stop on a superyacht vacation. Gothenburg is relatively small with a compact centre that makes it easy to walk around between different sights. Gothenburg has a rich culture with a vast selection of museums, theatres and an opera house hosting international productions. It also has a vibrant restaurant scene ranging from Michelin-starred gourmet and trendy eateries to classic neighbourhood institutions and street food. You will find an exciting mix of international fashion brands, independent shops, pedestrian streets, malls and department stores. If you want to get pampered there are several spa options all with different styles, some in the city centre and others just a car ride away. Sweden’s second biggest city is the gateway to the three striking provinces on the west coast — ohuslän, Dalsland and Västergötland — and a cultured stop on a superyacht vacation. Gothenburg is relatively small with a compact centre that makes it easy to walk around between different sights. Gothenburg has a rich culture with a vast selection of museums, theatres and an opera house hosting international productions. It also has a vibrant restaurant scene ranging from Michelin-starred gourmet and trendy eateries to classic neighbourhood institutions and street food. You will find an exciting mix of international fashion brands, independent shops, pedestrian streets, malls and department stores. If you want to get pampered there are several spa options all with different styles, some in the city centre and others just a car ride away. Continuing onwards south from Gothenburg you will pass an area with mile long white sand beaches known as the spa and recreation areas of Sweden — Varberg, Falkenberg and Tylösand. Somewhat further down the coast is the jet set capital of the west coast: Båstad. During the SkiStar Swedish Open tennis tournament in the middle of July the town becomes the number one party spot in the country. A car ride or tender run away along the peninsula is Hovs Hallar nature reserve. Here the ridge meets the ocean in a dramatic way with high cliffs, stone pillars and caves. After a hike and a swim you can dine in the Hovs Hallar restaurant, situated on the top of the cliff with a fantastic view. Around the corner is the summer resort of Torekov, one of Sweden’s hidden gems. Even though the village is small it has many nice restaurants and several excellent spa facilities on hand (due to the proximity of multiple wealthy Swedish holiday home owners). West of Torekov you will find Hallands Väderö (Halland’s Weather Islands). The nature reserve comprises of the main island together with the surrounding waters, islets and skerries. The island is three kilometres long and, at its narrowest, 600 m wide. It is home to birds and seals and also has sandy beaches, meadows and forest. Continuing onwards south from Gothenburg you will pass an area with mile long white sand beaches known as the spa and recreation areas of Sweden — Varberg, Falkenberg and Tylösand. 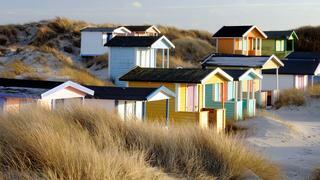 Somewhat further down the coast is the jet set capital of the west coast: Båstad. During the SkiStar Swedish Open tennis tournament in the middle of July the town becomes the number one party spot in the country. 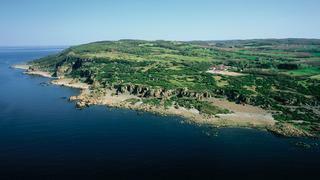 A car ride or tender run away along the peninsula is Hovs Hallar nature reserve. Here the ridge meets the ocean in a dramatic way with high cliffs, stone pillars and caves. After a hike and a swim you can dine in the Hovs Hallar restaurant, situated on the top of the cliff with a fantastic view. Around the corner is the summer resort of Torekov, one of Sweden’s hidden gems. Even though the village is small it has many nice restaurants and several excellent spa facilities on hand (due to the proximity of multiple wealthy Swedish holiday home owners). West of Torekov you will find Hallands Väderö (Halland’s Weather Islands). The nature reserve comprises of the main island together with the surrounding waters, islets and skerries. The island is three kilometres long and, at its narrowest, 600 m wide. It is home to birds and seals and also has sandy beaches, meadows and forest. As you make way further down south by luxury yacht, you have the option to stop by Hven, a green island with beautiful little villages, sandy beaches, restaurants and a nine-hole golf course. 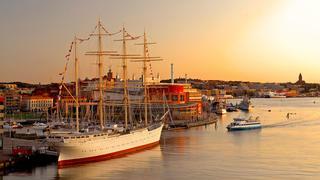 Further down south you will find Sweden’s third largest city and what Swedes call “the gateway to Europe”. Malmö is a young international city with the Danish capital Copenhagen an arm's lengths away. It is a warm and vibrant and is full of entertainment. Malmö has three Michelin-starred restaurants. One of the most renowned is Vollmers, which aims to serve “the best of Scanina soil”. During the summer months the west coast is absolutely bustling of life, with hot spots for sailors and holidaymakers alike. With the short nights, when it seems like the sun never really sets, it is easy to get lost in the true spirit of the Swedish summer. As you make way further down south by luxury yacht, you have the option to stop by Hven, a green island with beautiful little villages, sandy beaches, restaurants and a nine-hole golf course. Further down south you will find Sweden’s third largest city and what Swedes call “the gateway to Europe”. Malmö is a young international city with the Danish capital Copenhagen an arm's lengths away. It is a warm and vibrant and is full of entertainment. Malmö has three Michelin-starred restaurants. One of the most renowned is Vollmers, which aims to serve “the best of Scanina soil”. During the summer months the west coast is absolutely bustling of life, with hot spots for sailors and holidaymakers alike. With the short nights, when it seems like the sun never really sets, it is easy to get lost in the true spirit of the Swedish summer.